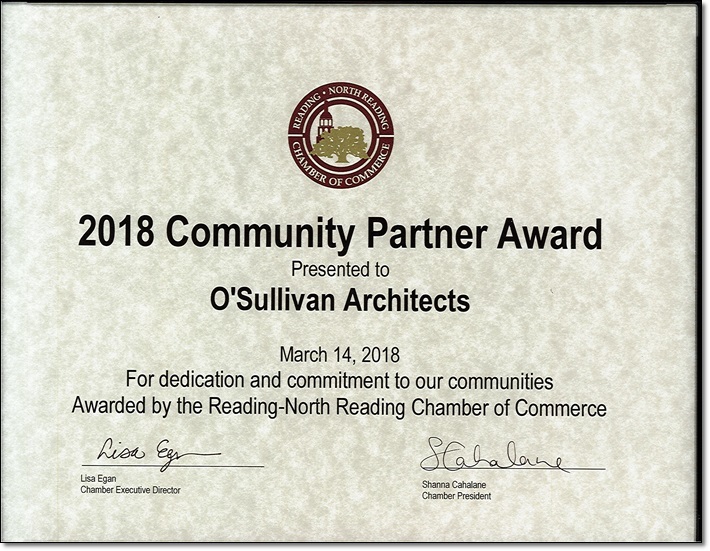 We were honored to receive a 2018 Community Partner Award from the Reading-North Reading Chamber of Commerce. 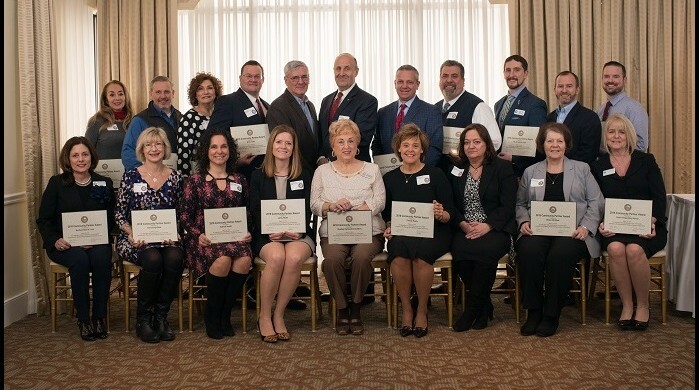 The award was presented at the Chamber’s Annual Meeting. The award recognized firms for their continued dedication and commitment to local commuities. The keynote speaker at the Annual Meeting was Joan McGrail, Vice President, Global Human Resources, from New Balance. Her presentation highlighted the companies tremendous growth since their humble beginning in 1906. New Balance has grown from 6 people to a global firm with over 8,000 employees but remains committed to environmental initiatives, social responsibility and giving back to local communities where they operate.